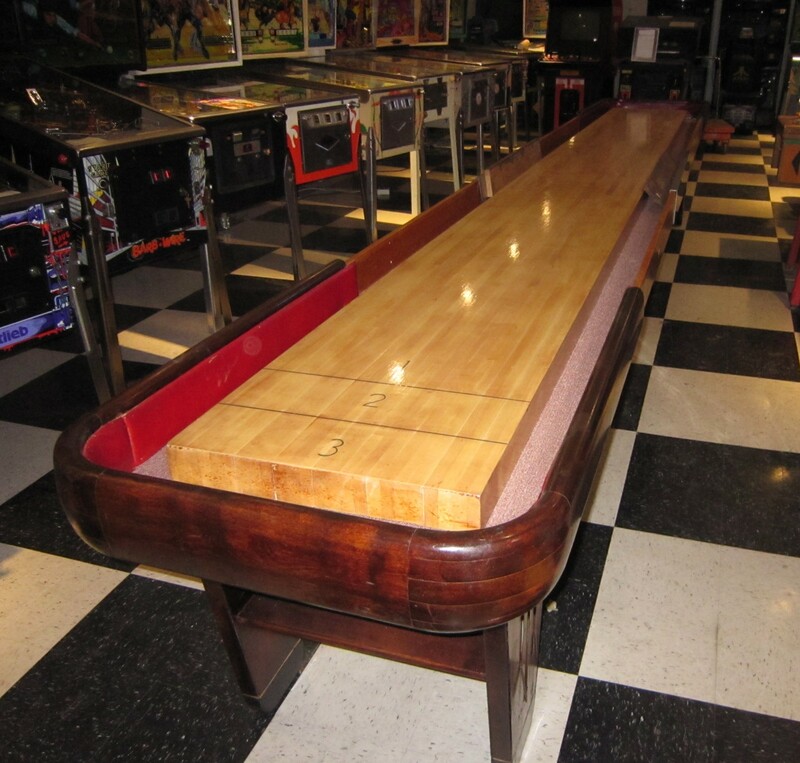 18 Foot Rock-Ola 1949 Antique Shuffleboard | Fun! Rock-Ola only built these beautifully crafted showpiece shuffleboard tables for three years, from 1948 to 1950. They are hand made from solid hardwood, and featuring Rock-Ola’s signature solid maple “Horse Collar” sections. This is a very unique Rock-ola shuffleboard as it is 18 feet long. It is available for pick up in our store, or we will deliver and set up in the DFW area for a fee.